RunBot does just one thing. He runs. I mean, he does have clamping hands, but those are just to tie his running shoes. Which he never wears. Because he is a robot. You can tell he runs fast because of the wind rushing behind him. 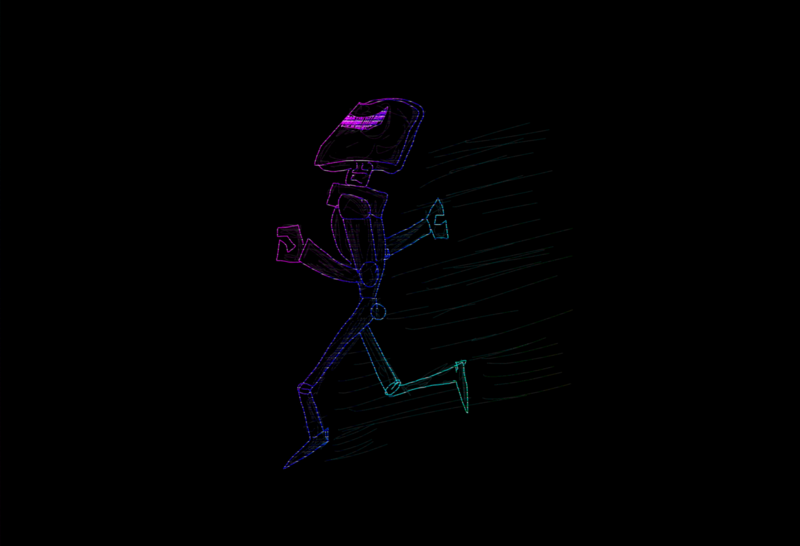 Run RunBot Run! This one goes out to all the RunBots at Daily Mile, and those crazy kids at Fit Milwaukee like @bananza and @tmgessner and @amykant. Posted on Saturday, August 28th, 2010 at 8:00 am. Subscribe to the comments feed. Both comments and pings are currently closed. Post on your own blog.